The Condor Trekker 3-in-1 travel backpack is feature packed with functionality, capacity, and organization. Detachable exterior compartment quickly turns into a sling pack to carry the essentials you need for a day-trip. Clamshell design with dual access point offers convenient access to your belongings in a snap. And the zip-away back panel conceals the shoulder straps when not in use. The Condor Trekker has the capacity and flexibility for any incursion. 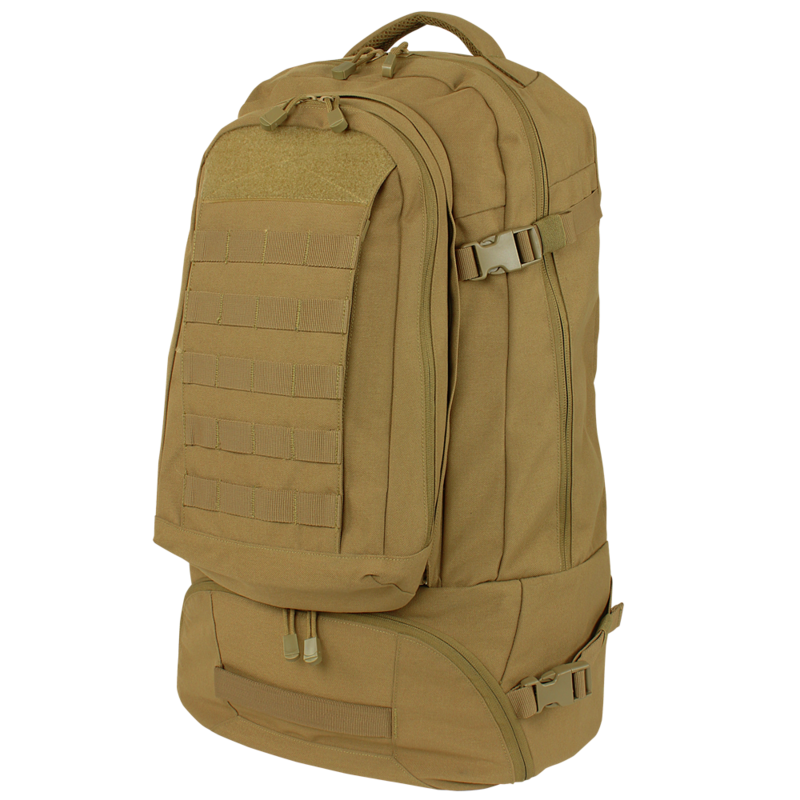 This travel backpack has compartments designed for your laptop and hydration carrier make it a solid choice for what ever your mission requires. Take this out with you for a game of airsoft or even use it for daily tasks such as hiking or for school. Overall, the Condor Trekker backpack is the perfect choice to bring all your equipment with you.